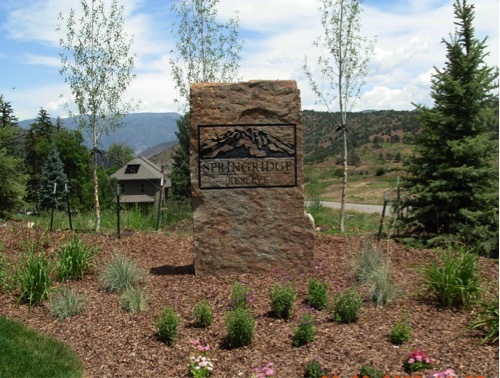 Springridge Reserve is an 80 lot subdivision located on 4-mile road in Glenwood Springs, CO. 2.5 miles of road were constructed, 2.5 miles of water main, sewer main, and shallow bury utilities were installed. A new water storage tank was constructed and an existing 145,000 gallon water storage tank was relocated. A water treatment building and sewer lift station also was constructed. Much of the site had rock beneath the surface which required blasting and hammering in order to make way for the utilities and roads.